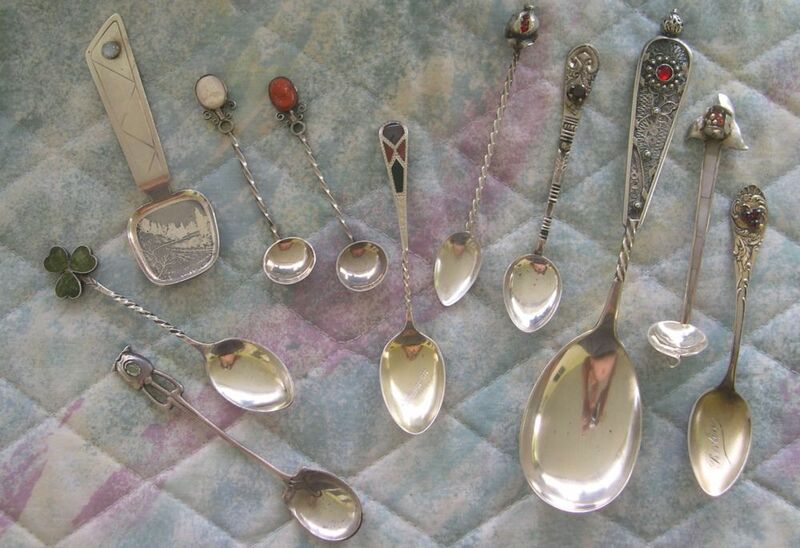 Gemstones on spoons (aka jeweled spoons) are comparatively rare, and spoons sporting such decoration are IMHO very desirable collectibles. This is one of my personal favorite spoon styles. Gemstones on silver was extensively practiced in the middle ages and was used on only the most important types of silver which was made for use by the kings or the church. 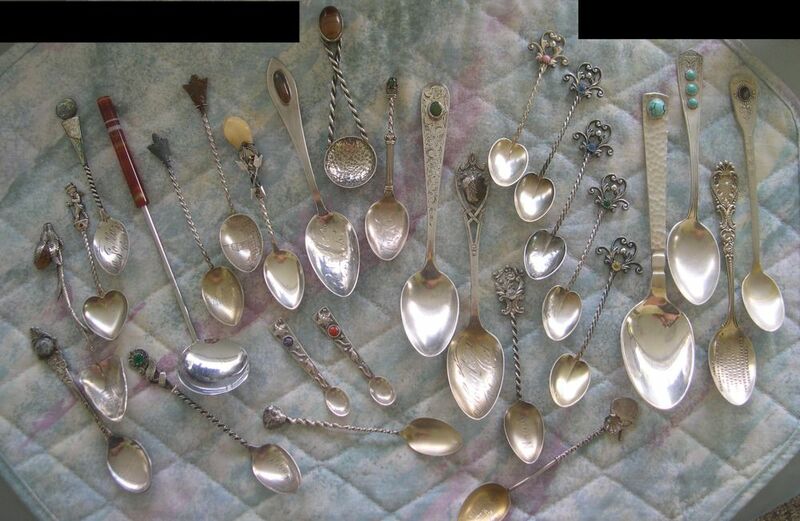 After several centuries this method of silver decoration fell out of style and was abandoned. The Art Nuevo era and particularly the English firm of Liberty & Co. repopularized it in the 1890's. I have now subdivided this page into several exhibits to reduce the download time and to organize the spoons for maximum effect. You can link to an exhibit directly and/or return to this page after viewing an exhibit or you can follow the sequence of exhibits I have established by choosing the "next gemstone exhibit" link at the bottom of each page.